The Egyptian Theater, 6712 Hollywood Blvd. Design for Living begins at approximately 3:30 PM. 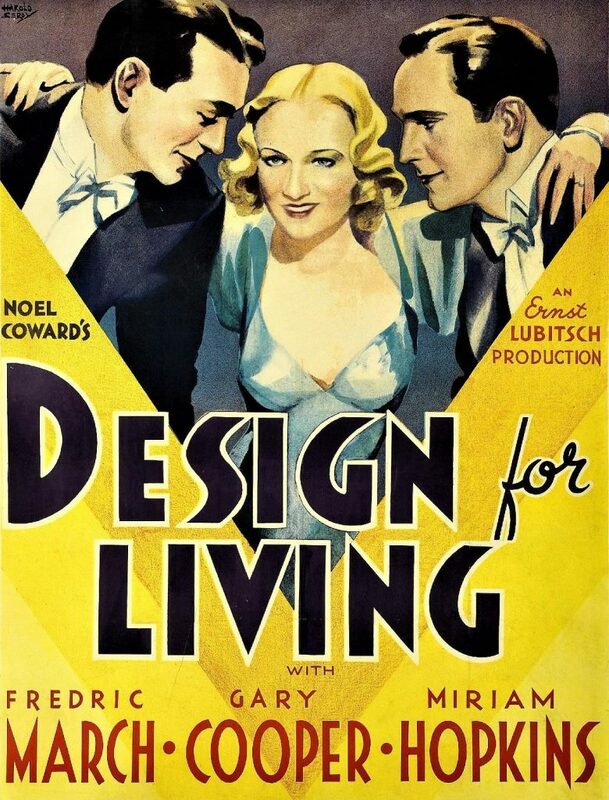 This Art Deco Society program begins with an illustrated presentation by author and historian Allan Ellenberger on the life and career of actress Miriam Hopkins, followed by the Ernst Lubitsch comedy classic DESIGN FOR LIVING, in which she shares an apartment with lovestruck Fredric March and Gary Cooper. 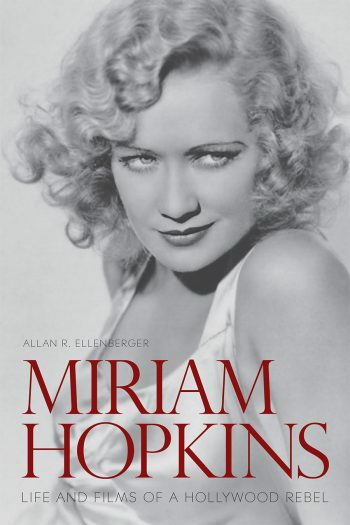 Allan R. Ellenberger will sign copies of his new book Miriam Hopkins: Life and Films of a Hollywood Rebel, in the lobby before the film. Larry Edmunds will be on site to sell books. Join us for an illustrated presentation by Hollywood historian Allan Ellenberger on the life and work of actress Miriam Hopkins, whose 40-year career began in the pre-Code era and included three films with legendary comedy director Ernst Lubitsch. Playwright Tom Chambers (Fredric March) and painter George Curtis (Gary Cooper) share an apartment in Paris and both fall for lovely interior designer Gilda Farrell (Miriam Hopkins). Gilda can’t make up her mind which man she loves, so she concocts a scheme for the three of them to live together platonically. Of course it’s not long before the two men are figuratively clawing at each other’s throats in this pre-Code delight from director Ernst Lubitsch and screenwriter Ben Hecht, based on Noel Coward’s play. This entry was posted on Sunday, July 15th, 2018 at 9:58 am and is filed under Book Signings, Book/Film News, Miriam Hopkins. You can follow any responses to this entry through the RSS 2.0 feed. You can skip to the end and leave a response. Pinging is currently not allowed.